WaterWog in Lansing This Morning! Wait, a What? 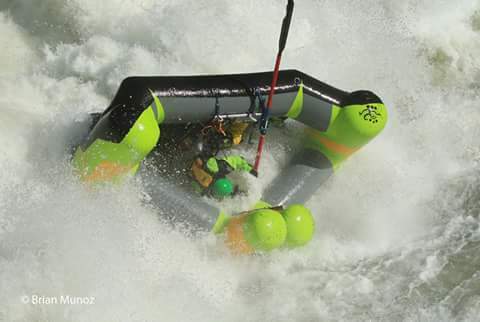 There will be a demo of the Creature Craft 'WaterWog' at 9:00 this morning at the North Lansing Dam in Old Town, which is a new recovery tool that will be used by rescue workers that will help keep THEM safe while they're saving others. This is brilliant! These water crafts were the brain child of Darren Vancil after he got dumped while rafting on the Colorado River in Gore Canyon and had to swim with a dislocated shoulder. Inspiration can come from anywhere, right? The roll cages protect the operator from capsizing with it's 'self-righting system' and four inch velcro lap belt. The crafts are custom built in Grand Junction, Colorado - they started as recreation platforms are are now being implemented by rescue crews across the land - including here in Michigan! The WaterWog, which can get right up next to a dam without capsizing. You can see more video and pics here on the Creature Craft Facebook page, as well as here on their website.